This is a continuation of my series of HopeKids Sessions. These special needs family photography sessions are a venue through which families with a child who is facing a challenging disability or illness are able to share the story of their journey and the Hope that results from their experiences. Through these stories we see struggles which help us realize we are not alone. We see trust when everything else is out of control. And we discover the things which are most valuable in life: “hope, faith. and love, but the greatest of these is love.” I Corinthians 13:13. Terry and Alissa have six beautiful children. In 2010, their son Nolan was three years old. After a busy day, he became ill with a high fever. He was weak and lethargic. Nothing uncommon for someone with a high fever. Then the fever would go away, but then a few days later return in full force sometimes reaching over 104. This continued for almost a month with few answers as to what was wrong. Alissa finally said to the doctors, test him for everything, something is not right with my little boy. The doctor asked her, did you know he has a heart murmur. This baffled them considering he had just had a tonsillectomy and nothing was detected at the time. 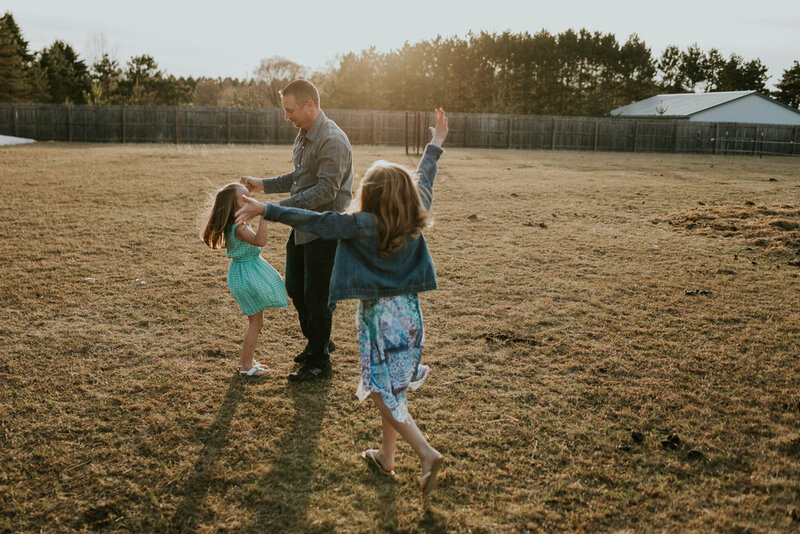 Nolan was then rushed to Children’s Hospital in the Twin Cities – a critical journey compounded by the stress of finding childcare for their two other little ones. At the hospital, Nolan was deteriorating quickly -infection was raging throughout his body. His liver and his kidneys were struggling, he was having difficulty breathing, and he was turning gray. Nolan needed open heart surgery in order to survive, but unless he showed some signs of improvement, he would not survive the procedure. What did this family do? They prayed. They called upon their family, loved ones, and church to pray. They lifted this little boy up to his Heavenly Father and surrendered all to His hands. As God always does, he provided at just the right moment. The next day, Nolan’s kidneys showed signs of improvement opening a doorway of hope. Seeing this as a green light, Nolan’s doctors prepared for surgery. What they discovered was distressing in such a young child. Nolan’s mitral valve had prolapsed and blood was filling up his lungs. His heart had a genetic abnormality and this valve needed to be reconnected properly in order for him to survive. His body was also fighting strep. Instead of going to his tonsils (which had been removed months before) the strep affected his heart. After a long hospital stay, Nolan was released 3 days before Christmas -another precious gift from God. To this day, Nolan is on a continual regiment of penicillin in order to protect himself from infection. Another severe infection could be lethal for him. Nolan’s parents live their lives entrusting their beautiful children to God’s care while struggling to overcome natural fears of whether or not their other children will show signs of the same abnormality. So, they do all they can and focus on only what they can control. Each child is monitored and tested by doctors. 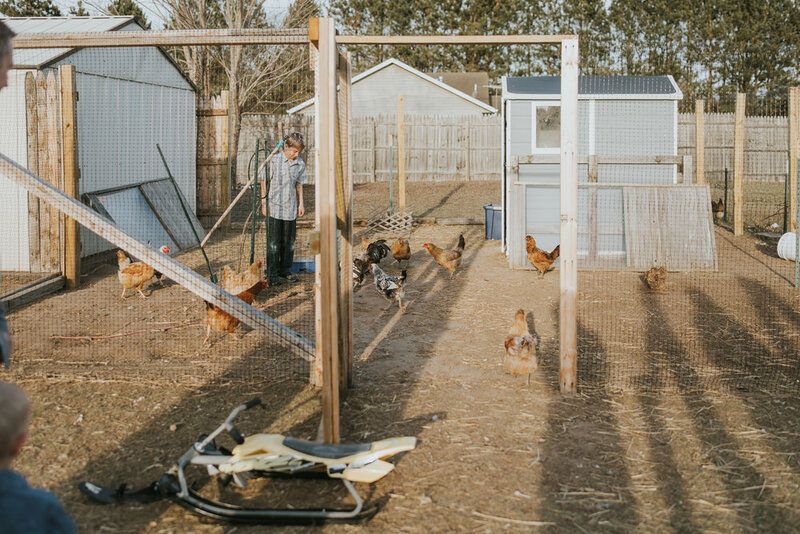 They raise chickens and cows for organic meat. and do all they can to keep their little ones free from sickness. Not a small feat with 6 kids, 5 of which are school aged! This is a test of trust and control for Alissa and Terry. All they can do, is do what they can, and trust God to take care of the rest. So, they surrender. It is a daily practice – surrender, but when they let go, they are able to enjoy the beauty that is before them. Most importantly they are built up in their faith and surround themselves with a loving community. They hang on to each other and simply focus on love. Their 6 children range from 16-2. From Nicholas and Natalie who are in high school and looked up to by their younger siblings. To feisty little sisters who share with you their favorite colors of blue and purple for Neven and red for Noella and love to run in their beautiful dresses and tease their big brother. To little Nash who simply wants to cuddle up with momma. Their love is rich and strong. It binds them together and a simple joy exudes from them. Has Nolan allowed the limitations to his health limit his experiences in life? A resounding no! He has a sparkle in his eyes that tells amazing stories. Nolan is a normal 11 year old boy who plays with trucks in the dirt, chases cows, loves on chickens, teases his sisters, and thrives in every moment. He is also a champion Archer! An amazing sport God brought to his life when other sports like hockey would not be safe for him. Archery allows him to shine and brings him a sense of pride and fulfillment. Ann Marie Grocholski is a Family Photographer for AMG Photography. She serves HopeKids Minnesota by providing families with a child facing a serious illness with Storytelling Photography Sessions.